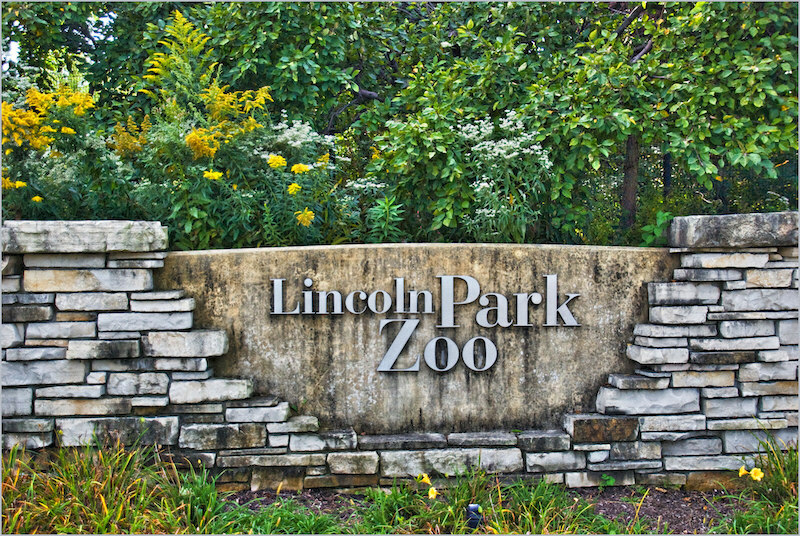 Lincoln Park is located in the North Side community area in Chicago, directly west of its namesake park along the water. While Lincoln Park is one of the city’s most affluent neighborhoods, it also caters to DePaul University students who have a variety of housing and recreational options from which to choose at budget-friendly price points. If you’re looking for a vibrant enclave with historic touches and a youthful spirit, Lincoln Park is the place to be. If you’re making a day trip to Lincoln Park and don’t want to lug your things around, it’s a great idea to book bag storage with Bounce. You’ll definitely want your hands and shoulders free whether you’re roaming the neighborhood’s green areas, hitting the pavement, or visiting its many attractions and landmarks. Wrigley Field is a baseball park that’s home to the Chicago Cubs. Cubs fans aren’t allowed to bring large bags and luggage into Wrigley Field, so drop them off with a Bounce partner nearby. Commonly known as the Loop, Downtown Chicago is the city’s major business and commercial hub, offering many of Chicago’s greatest attractions. Bounce is at your disposal for luggage storage in Chicago’s Downtown area. Union Station is Chicago’s primary train station for intercity and commuter rail lines, serving approximately 140,000 passengers on weekdays. While luggage storage at Union Station is offered inside the terminal, Bounce is pleased to offer less expensive rates at several locations throughout the city. Millennium Station is Chicago’s third-busiest train station. Commuters will be pleased to know that Bounce bag storage in Chicago is accessible from Millennium Station. Jackson Station is a stop on the “L” Blue Line in the Chicago Loop. If you’re looking for luggage storage accessible to Jackson Station, look no further than to Bounce. O’Hare International Airport is the sixth-busiest airport in the world, serving upwards of 200 destinations. While luggage storage at Chicago O’Hare isn’t available to passengers, you can book with Bounce for luggage storage near this Chicago airport. Midway International Airport is Chicago’s second-busiest airport. Since luggage storage at Chicago airports isn’t offered, Bounce is a great option if you want to store your luggage near Midway Airport. The Art Institute of Chicago is consistently rated as the top arts attraction in the city. Large bags aren’t permitted in the exhibitions, so drop them off with Bounce before heading to this storied art museum. United Center is one of Chicago’s top venues for sports and entertainment. Large bags, luggage, and other oversized items are not permitted into the arena, so book short-term storage with Bounce before making your way to United Center. Soldier Field is a football stadium and the home field of the Chicago Bears. Given Soldier Field’s limited bag-allowance policy, your best bet is to store your things with a Bounce partner in Chicago before heading to the game. Find the location closest to you. We have locations all around the city. Show your booking receipt and you're good to go. Secured and insured. Go about your day without lugging around your things. Bounce storage is so convenient. This location is inside the Chancellor Hotel at Union Square, San Francisco. Super convenient location, close to transit, attractions. Hotel staff was professional and very pleasant. Great experience with Bounce and I will definitely use again. Convenient to the Met, which does not allow luggage at coat check. Very easy check in and check out process, with lovely people at the front! Can’t believe I haven’t used this service until now. So easy & convenient. I 100% recommend. Bounce is the best luggage storage service provider in the New York. I sent an email at midnight , and I got an email back in 10 mins. They are not only solve my issue but also provide solutions. You have to try Bounce !! Fantastic experience with Bounce! Stored a bag at the Grand Central location and on my last day at the 9/11 Memorial location. Both locations had friendly, efficient staff that were helpful and made everything very easy. Such a great option if your hotel isn't ready or you don't want the hassle of a bag in the city. Great, safe option. Thanks Bounce! Is there a maximum item size? What if my plans change? Can I store my items for a week or a month? Do you offer hourly storage? Do you have a location near X? Are large bags more expensive?